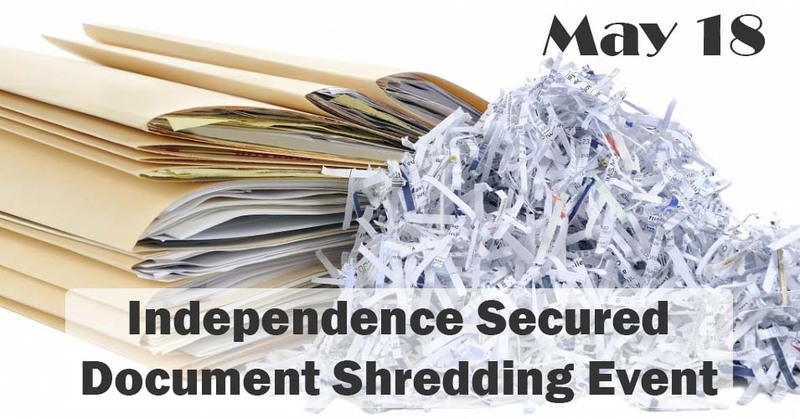 The City of Independence, Ky.
On Saturday, May 18, the City of Independence is offering a free secure document shredding event for its citizens. Using the free commercial shredder may be the safest way to dispose of confidential or sensitive documents. Any paper documents will be accepted including old tax forms, medical records and other pertinent personal information. Everyone should consider secure shredding of your documents to protect yourself and your loved ones. In addition to having your documents properly disposed of this event also ensures that all paper is properly recycled. Secure destruction and shredding of confidential documents is an important aspect of a complete personal records management program.